There are a lot of great reasons to have a dog, but if you want to take your furbaby with you to run errands, you might wonder which stores welcome pets, and which ones prohibit them. 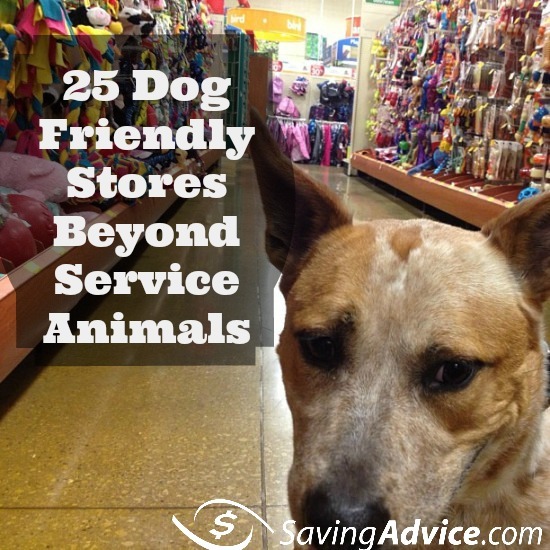 Check our list of 25 dog friendly stores – beyond service animals – before you head out with your pup. It wasn’t long ago that dogs weren’t allowed in a retail setting unless they were service animals. The times are changing, and today, many mainstream retail stores welcome your dog to come inside and shop with you. This relaxed pet policy has dog owners everywhere rejoicing. The convenience factor is wonderful, not to mention that you can avoid leaving your pet at home unattended for long periods of time. Although some stores still uphold a strict no-pet policy, more and more retail chains have amended their rules to welcome both you and your dog. It’s important to note that the final decision on whether or not dogs are allowed at certain stores is ultimately left up to the individual store manager, so even if a chain is dog-friendly, your local store may not be. It’s always best to call ahead and ask before taking your dog along. Apple store is dog friendly. Barnes and Noble is dog friendly. Bass Pro Shops are dog friendly. Crate and Barrel is dog friendly. Foot Locker is dog friendly. Free People is dog friendly. Home Goods is dog friendly. JoAnn Fabrics is dog friendly. Lush Cosmetics is dog friendly. Neiman Marcus is dog friendly. Old Navy is dog friendly. Pottery Barn is dog friendly. Restoration Hardware is dog friendly. Saks Fifth Avenue is dog friendly. Saturn car dealerships are dog friendly. TJ Maxx is dog friendly. Tractor Supply Co. is dog friendly. Urban Outfitters is dog friendly. It’s important to note that stores which are not pet and dog-friendly will still allow service dogs to enter their retail space. They won’t, however, allow pet dogs on their premises. Belks is not dog friendly. Best Buy is not dog friendly. BJ’s Wholesale Club is not dog friendly. Costco is not dog friendly. CVS is not dog friendly. Dillard’s is not dog friendly. Home Depot is not dog friendly. JC Penny is not dog friendly. KMart is not dog friendly. Lowe’s is not dog friendly. Party City is not dog friendly. Rite Aid is not dog friendly. Sams Club is not dog friendly. Sears is not dog friendly. Target is not dog friendly. Walgreens is not dog friendly. Walmart is not dog friendly. As you can see, more and more retail establishments are realizing that pet owners enjoy bringing their furry friends along on shopping sprees. It’s a great way to break up the monotony of walking your dog on the same trails and sidewalks. It’s also a wonderful tool for pet socialization and introducing your dog to new people and environments. You may also enjoy getting your dog’s expert opinion on a new pair of shoes he can chew, or even a new couch for his daily naps. Shopping with your pet just might become your new favorite pastime. We would love to make this list comprehensive so dog lovers know where they can and can’t take their pets. If you know of a store that is pet-friendly or one on this list, which is no longer dog friendly, please leave a comment so we can ensure this list is the most up to date. Have you taken your dog with you shopping? Let us know your experience with specific stores in the comments below! If you are a pet lover, you know there is an urge to bring your furry friend everywhere you go. Not long ago you weren’t able to take your pet anywhere, however, more and more folks are headed out to go shopping with their pets in tow. For this reason, there has been an increase in the number of pet friendly stores and restaurants. Below you’ll find stores that do (and don’t) welcome your pet. Bringing your pet along can break up some of the monotony of doing your regular shopping. It can also be a great way to socialize your pet and introduce them to new places. Keep in mind, it is always a good practice to call ahead and confirm whether each store is pet friendly. However, each of the retailers below claims to be pet friendly. It is also important to note that each of these retailers require your pet to be up-to-date on their vaccinations. Many also require you have the animal on a close leash and hold you responsible for your pet’s behavior. If you have a larger breed dog or a dog that may be considered aggressive, the store owner can also deny your pet access. Stores located within malls may also have different pet policies. Once again, it is a good idea to call ahead to confirm your pet’s ability to visit the store. Not surprisingly, most restaurants have strict rules against pets. However, some chain restaurants are pet friendly. Here are the ones we’ve found. Some restaurant locations may not allow your pet in the establishment but will seat you in the outdoor patio area. Locally-owned restaurants may be pet friendly as well. In fact, many metropolitan areas have had an increase in dog bars and the like in recent years. Of course, we recommend calling ahead to verify the establishment is, in fact, pet friendly. Even though many more establishments have labeled themselves as pet friendly, not all are. In some cases, your pet may be allowed in the outdoor patio areas but won’t be permitted in the stores and restaurants listed below. Bear in mind that major restaurant chains must adhere to the Americans With Disabilities Act. If your pet is a registered service animal they will be welcome in most locations, despite their normal pet policy. Lastly, here are some general etiquette tips if you are planning to bring your pet out with you. Bring your own pet bowl . You can also ask a waiter for a plastic bowl or cup of water, however, pets are not usually permitted to drink out of restaurant bowls or cups unless they are disposable. Don’t tie your dog to a table. Instead, tie them to a chair. Dogs tied to tables oftentimes end up with spilled drinks and food. Always call ahead and verify the restaurant or store allows dogs. If you’re going to bring your dog out, be sure they are well-behaved and good with kids. Unless welcomed, keep your pet from bothering other patrons or employees. Also, try to keep your pet out of the walkways and paths servers and other employees may be using. If you know of pet friendly stores that aren’t currently on this list, please leave a comment so we can add it. We’d also love to hear about your experiences with specific stores and your pets. There are a lot of great reasons to own a dog, but one area that could cause problems was if you wanted to take your dog to a store. It wasn’t long ago that dogs weren’t allowed in a retail setting unless they were service animals. The times are changing, and today, many mainstream retail chain stores welcome your dog to come inside and shop with you. This relaxed pet policy has dog owners everywhere rejoicing. The convenience factor is wonderful, not to mention that you can avoid leaving your pet at home unattended for long periods of shopping time. Although some stores still uphold a strict no-pet policy, more and more retail chains have amended their rules to welcome both you and your dog. PetSmart and Petco are the obvious choices for pet owners who want to shop with their pets. These stores have always welcomed pets on leashes that are well-mannered. Home Depot and Lowe’s were once known for their pet-friendly environments, however, they have both recently changed their policies and now ban pets of all kinds. Don’t be discouraged, though, because there are plenty of other stores where Fido will be welcomed with open arms. Barnes & Noble is one establishment where pets are often welcome, but not always. The company leaves it up to the individual store managers to make the call on the degree of pet-friendliness. It is best to call the store which you plan to visit and check with that manager to see his policy. Pottery Barn and Crate and Barrel are both fairly accommodating with pets. Each store has an individual policy, though, so a quick check ahead of your visit is recommended. While you may value your pet’s input on home goods, the amount of breakable merchandise in these types of stores may have dog owners thinking twice about bringing their pets along. Macy’s is well-known for being an animal loving establishment. Macy’s loves pets and pets love Macy’s. Although individual locations may vary, most Bass Pro Shops are notoriously pet-friendly. Again, it is left up to each store manager, so be sure to check first. Neiman Marcus has a policy of allowing leashed and well-behaved pets in standalone stores. If the Neiman Marcus that you plan to visit is part of a mall, however, it is advisable to call ahead and see if the mall has rules against bringing pets along. Nordstrom allows pets on a case-by-case basis, but they always allow service animals. Some local Saturn car dealerships are pet-friendly, but be sure to call ahead to check it out. It might be fun to let your dog help you with your choice of a new car. As you can see, more and more retail establishments are realizing that pet owners enjoy bringing their furry friends along on shopping sprees. It is a great way to break up the monotony of always walking your dog on the same trails and sidewalks. 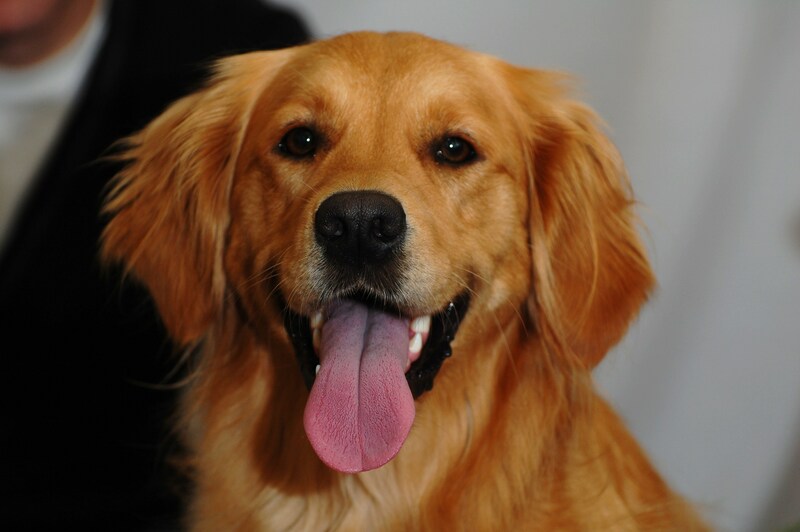 It is also a wonderful tool for pet socialization and introducing your dog to new people and environments. You may also enjoy getting your dog’s expert opinion on a new pair of shoes he can chew, or even a new couch for his daily naps. Shopping with your pet just might become your new favorite pastime. It’s important to note that the final decision on whether or not dogs are allowed at certain stores is ultimately left up to the individual store manager, so even if a chain is dog-friendly, your local store may not be. It’s always best to call ahead and ask before going with your dog. Hobby Lobby is dog friendly. Home Depot is dog friendly. We would love to make this list comprehensive so that dog lovers know where they can and can’t take their pets. If you know of a store that is pet-friendly or isn’t which isn’t currently on this list, please leave a comment so we can add it. We’d also love to hear about your experiences with specific stores and your pets. For more on pets and how they can affect your finances check out these articles. How Much Does a Cat Cost?